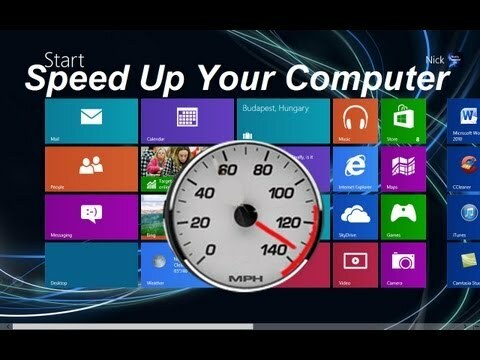 How to optimize and improve the performance of Laptop|Computer. As laptop or computer get older,performance of laptop get slower. Higher configuration, High processor,Lots of space and RAM, several area of these doesn't count once the system isn't used properly. improper usage can create the laptop|computer slow like cache,junk,temporary files, and problem in the registry etc.. file in pc. Follow the below steps to overcome from the problem. 1.Clean the Cache and Junk file using CCleaner software. 2.Scan the issue in registry files using ccleaner and solve the found issue to optimize the speed of pc. Clicking the Start button , right-clicking Computer, and then clicking Properties.